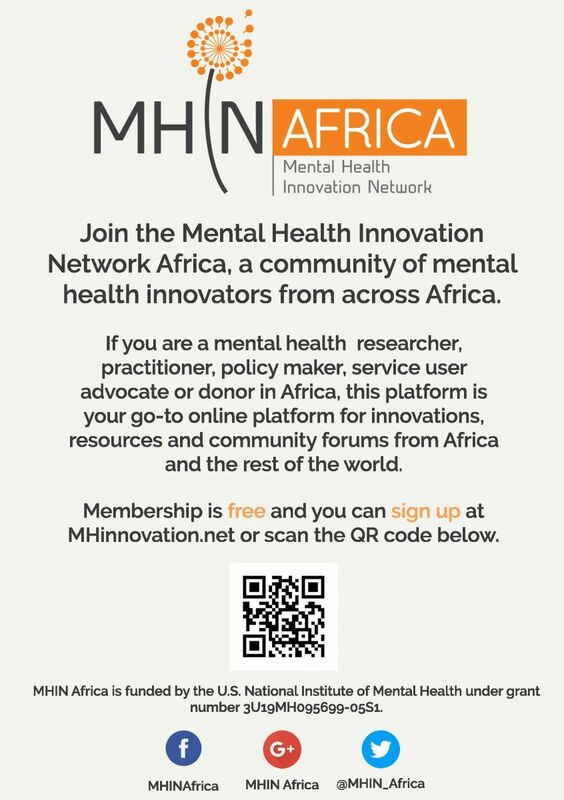 Hello & Welcome from MHIN Africa! I am happy to be part of this network. it really matters mental health be made a priority in all african countries. Not only is it a matter of health urgency since there is no health without mental health but it is vital for the attainment of the just starting SDD. Thank you for your comment. Seems like your response found a home in our spam folder :(. Apologies for the late reply. Please check your emails for our invitation to you to make sure you never miss an update on MHIN Africa's developments. Alternatively, you can add your email address to this list: http://bit.ly/28In3Me.